Bevel Razor Review: The Right Choice for You? Some men have accepted the fact that razor bumps are part of life. You however are not one of them, because you’re either shopping for a Bevel Razor or trying to find out more about this product. In this Bevel Razor review, you will find out if this razor is the right match for you. Razor bumps are ingrown hairs that stay inside the hair follicle and grow into the skin. 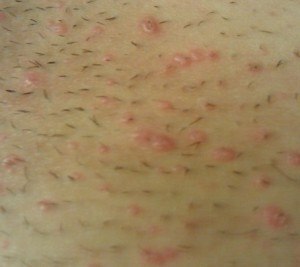 They appear as small bumps on the skin, usually a red or pink rash that occur after shaving. There are plenty of reasons why you’re having razor bumps, like using the wrong shaving cream, a dull razor, or pressing the razor too hard on your skin. While most guys are prone to razor bumps, black men are often the most susceptible. It’s estimated that eight out of 10 males with razor bumps are black. This is because curly hair is more likely to become ingrown hair. The good news is that you don’t have to stop shaving, or keep a certain level of stubble, in order to prevent razor bumps. The Bevel Razor, which is specially designed for men with coarse and curly hair, or those who are prone to razor bumps. The Bevel Razor is a single blade safety razor that is part of the Bevel shaving kit. Does it do what it claims? Let us take a closer look. What is Included in the Bevel Razor Shaving Kit? The kit contains everything a good shaving kit should to maximize the experience and minimize any potential irritation. Priming Oil- especially designed to moisturize the skin and create a smooth surface, enabling the razor to glide effortlessly across the skin without causing irritation. You can see photos and a more detailed description of these items on the official site by clicking here (scroll down to “what you’ll get” and click on any of the items.) We will go into more detail below as well. If you’ve never done it before, shaving with a single blade razor is a different experience. Some swear by it and never return to multi-blade razors, especially if you notice significant improvement in the closeness of shave and lack of irritation. A guide to initiate you and give you all the necessary tips to get the most out of it using the oils, brush and razor is included. The first thing that you will see when you lift the cover off the starter kit box is the Bevel razor. Multiple reviews have commented on how good the razor looks and well designed it is – something that you may or may not be concerned with, but it does seem to come up a lot! With a straight razor, you will be keeping this and only replacing the blades. It is noticeably heavier than multi-bladed razors that you may have used for years. It has a long handle, and a head that divides into the cap and base plate. Adding the blade is straightforward. You unscrew the handle from the head, and insert the razor blade in between the cap and plate. From then on, the razor is quite easy to use. Put a small amount of shaving cream on the area to be shaved using the shaving brush, and then position the head of the razor upright to the face. Gradually slant the razor downward until the blade gets in contact with the skin. Rinse the blade carefully after every stroke. Don’t forget, too, to alternate using both sides. Rinse off any lather and pat with cold water so that the pores can close. Then pat dry. For one thing, the packaging and presentation of the whole kit is very stylish. This is very aligned with everything about the brand, as you will see from the website and overall look of everything with the company. If you are looking to give this as a gift (and it’s a rather unique, well-appreciated gift for men) you will be quite pleased. The razor is obviously the star of the package, but the other products are quite important as well. 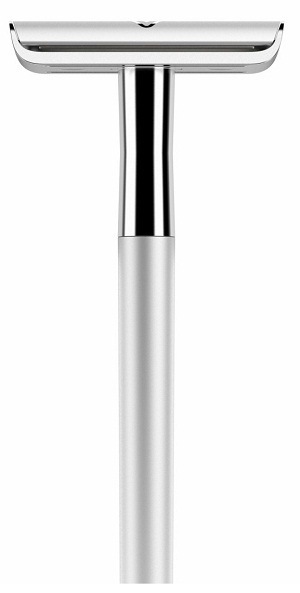 You’ll notice that the Bevel razor makes use of a single blade, unlike most razors today that have multiple blades. You might wonder if there’s any difference between using a single blade razor vs. multi blade razor. 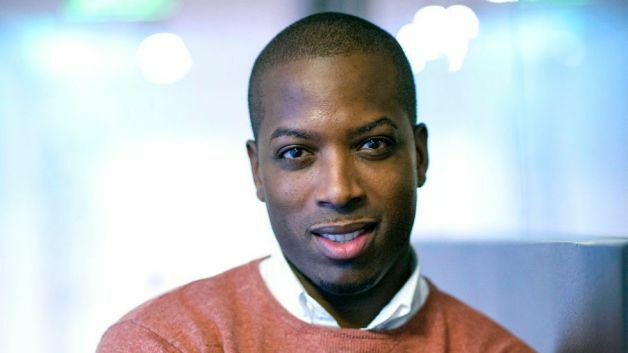 But as Bevel’s founder, entrepreneur and techie Tristan Walker found out in his research, there’s a reason why men in the old days didn’t have razor bumps. A single blade razor is able to move across the skin at an angle that is much gentler compared to a multi-blade razor. Because of that, the chance of ingrown hairs is reduced. There’s also less irritation on the skin. The razor has a strong and sturdy design. It is made of high quality metal, and it is ergonomically designed for easier handling. The kit also comes with a spare set of extremely sharp razor blades. The priming oil, restoring balm, and shaving cream all emit a fresh and pleasant fragrance. The aftershave also moisturizes the skin without leaving a greasy feeling, and it has menthol flavor that gives a mild cooling sensation. Some of what is included in the complete Bevel package may or may not be of much interest to you. You are entitled to 1-on-1 video or phone call consultations, and access to the latest online articles on grooming hairstyle. You’ll also receive blades without paying for shipping costs, and you are also entitled to complimentary products. Patience is the key to using the razor effectively. If you are expecting that you can get a smooth shave with the Bevel within seconds, then you are mistaken. You might have to go over your face several times to ensure that you get a close shave and avoid your skin from getting irritated. So it is definitely a little more of a time investment than the quick in-the-shower shave many of us are used to, but you are dealing with a whole other level of results and quality as well. Especially if you deal with irritation and razor bumps, the payoff is enormously worth it. Now that Bevel has been in the game for a while, there are more reviews than when we first published this, so it’s time for an update. There are a few ‘verified reviews’ online now as well, which means the website can confirm that the person writing did in fact purchase it. Certified Dermatologist Michelle Henry reports that 4 out of 5 men who used the razor in her clinical trials reported clearer skin. There is very good news now about the pricing of Bevel. It has gone through a few iterations, and at one point was harder to recommend, but I am quite pleased that they have now made this what I consider a very good deal for the complete kit given its quality. Perhaps most importantly, there is now a way to try it out without a big initial commitment, a money back guarantee with enough time on it to get a sense (14 days,) as well as letting you purchase products separately. So you can now purchase any of the products separately if you want to try it, but they do all come part of a process and system designed to work together, so to really give it a proper chance, it is best to get it all. with this in mind, the best deal in my view is to sign up for the subscription even if you only do it for the initial purchase, as there is no long term commitment. If you just want to get one of the items, you can now do that on the site too, and they are starting to branch out to have their items available in other stores. To get the whole kit including a new razor and blades using the subscription (which you don’t have to maintain), you’re looking at around $80. Depending on how used to looking at high quality razors and shaving kits you are, that number may seem high or low. You can research and find higher and lower priced versions of buying straight razors, oils and the like separately, as well as complete kits in a very wide range of prices, some much higher than $80. To some degree you would have to research each item of any kit individually to see if holds up. One of the pros about Bevel being a one-brand system is that the reviews apply to the entire package, and you don’t have to deal with trying to pair up the right type of brush with the right type of oil, etc. As with all companies using the subscription model, the idea is to give a good deal on the initial product hoping that the quality makes you a fan, and you’ll continue to get new blades, primer, etc. This is why you get a better cost by going for the subscription versus ordering each item individually, even though there is no obligation. If you stay subscribed, you will receive new blades, have website membership access and more at a better deal than refilling. They now offer the ability to choose this for monthly or every other month, which is a very welcome addition to those of us who don’t go through blades so quickly. Remember that if you do go the subscription route vs. buying the products individually, be sure to make a note to yourself that you are in fact subscribed and will be auto-billed / sent refills until you unsubscribe. There is also a 14 day money back guarantee, minus the cost of shipping. If you’re sick and tired of razor bumps, or want to experience a better shave, you should definitely give a more high end shaving system kit a try. One thing you WILL consistently hear is that it is a totally different experience and quality of shave than the traditional disposable razor route. This single blade razor is ideal for guys who are prone to razor bumps. There is also a $10 discount instantly applied for a limited time. Click Here for The Best Price on Bevel with a 14 Day Money Back Guarantee.